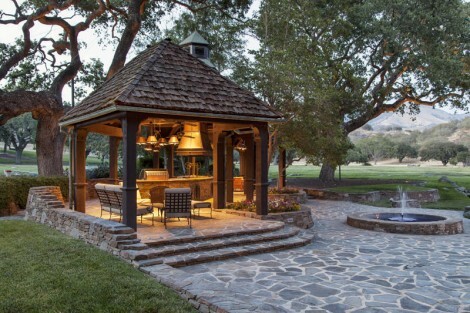 Michael Jackson’s former NeverLand Ranch has hit the market for a mere $100,000,000. It is now called Sycamore Valley Ranch. 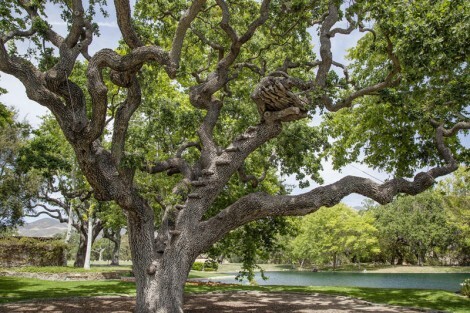 The famous property is located about 30 miles just outside Santa Barbara in the Santa Ynez Valley town of Los Olivos. It’s complicated, but an investment firm, Colony Capital owns the majority property which they purchased in 2008 amid Michael Jackson’s financial troubles. Jackson’s family has a minority interest in the property. Over the years the property had fallen into disrepair and Colony Capital and it’s investors have worked in recent years to restore the property and give it a new face. The zoo is no longer there and all the animals are gone and the amusement park and all of the rides are gone as well. 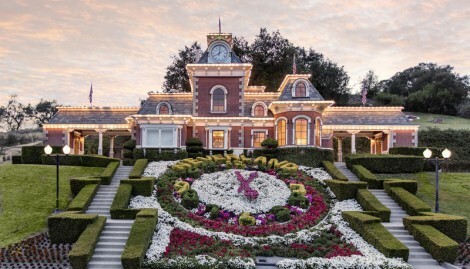 The train station remains which still features the iconic floral clock which spells out â€œNeverland,â€ but there is no longer a trains. Sycamore Valley Ranch is the ultimate ranch retreat and gated estate of approximately 2,700 acres located 5 miles north of the town of Los Olivos. The main residence of approximately 12,598 sq. ft. offers six-bedrooms, including a large first floor master suite with a private loft and two master baths. 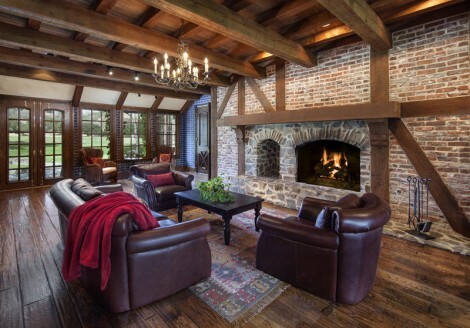 The home was designed by Robert Altevers for William Bone in a French Normandy-style and meticulously crafted to perfection in 1982. The home is nestled between extensively landscaped gardens and a four-acre lake complete with a waterfall, incredible pastoral views to the south and majestic mountain views to the north. An expansive covered outdoor barbeque area is perfect for entertaining and is located adjacent to the inviting pool and nearby pool house and tennis court. There are multiple structures on the property including three separate guest homes, a 5,500 sq.ft. movie theater with stage, several barns, animal shelter facilities, corrals and a maintenance shop. Enjoy my friends and have a great day! Considering Solar Panels for Your Home? Sign up below and receive free and exclusive access to featured Santa Barbara properties. © 2019 Sally Dewan · All Rights Reserved.